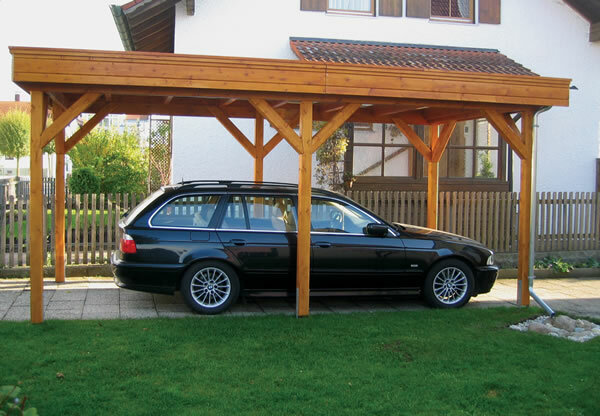 The Standard Carport is perfect for a single car. Unlike some of the other car ports on the market have been built with no fixings but with glue so there will not be any rusting on the building. The Stable planks used in this building will have an approximate diameter of 12cm. It has been made with prefabricated wooden parts so that installation has made easier. The roof boards on the car port are 19mm thick. 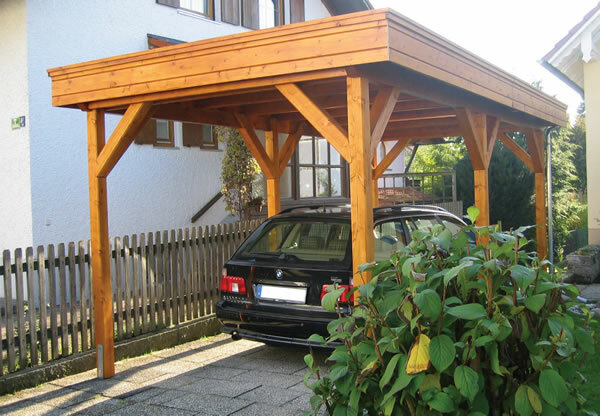 A sturdy designed car port manufactured to the highest quality from a slow grown, dried, Nordic pine which gives a tight and dense wood grain. The car ports made from Bertsch in Germany have been built so that they are; well ventilated and sun-screened in the summertime, dry and free from ice in the winter. When the car port has been has been well ventilated with a constant and mild air circulation it will dry your car space. Built perfectly by Bertsch their building will have outstanding quality whether you are looking for car ports or a garage. They are built to order and care has been taken with every build. The car port has been manufactured by German engineering, precision to detail and efficient working techniques. This car port is only one out of the many buildings that Bertsch can offer. If you have a special requirement or would like a car port or building made to measure please let us know and we will be happy to give you a quote. Along with all the unique options this car port offers as standard, there are also extra options you may be interested in; Dual pitch roof, pent roof or flat roof, wall elements between the pillars as well as different sizes for gates. For any of these options or something we don't mention that you would like please contact us for prices.